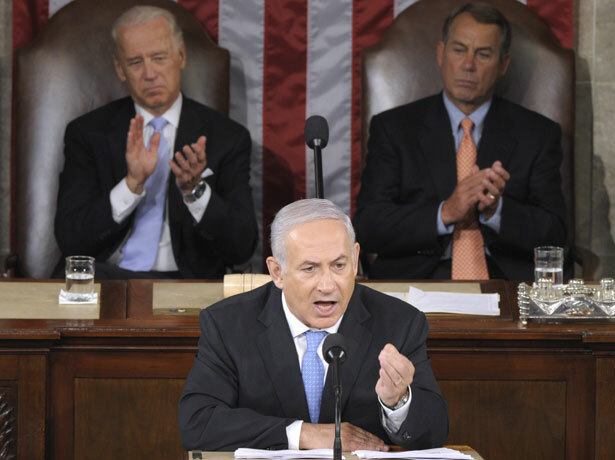 The White House’s placating of Netanyahu won't make talks with Iran any easier. That, in itself, is a victory for Israel, since Netanyahu since 2009 has managed to utterly change the subject from Israel-Palestine to Israel-Iran. “I have offered the Iranian government an opportunity—if it meets its international obligations, then there could be a new relationship between our two countries, and Iran could begin to return to its rightful place among the community of nations. That studied ambiguity, the parallel ambiguity to “all options are on the table,” doesn’t make clear whether not not Iran can ever negotiate the West’s acceptance of its right to enrich uranium. Nearly all Iran watchers by now, except for neoconservatives and some Israelis, recognize that Iran’s right-to-enrich will be recognized in a US-Iran accord. Obama could accomplish a lot simply by saying that. In the wake of the most recent round of talks in Kazakhstan, some Israelis are concerned that the West might be preparing to cut a deal with Iran that would allow it to keep a stockpile of less-enriched uranium, which it could later purify to nuclear-grade. Well, not just “stockpile,” but legally enrich, too. Obama’s expected kowtowing to Netanyahu, a great deal of which will be for political reasons, won’t make talks with Iran any easier. But once Obama has departed the Zionist state, having placated Netanyahu, he might be freer to make a serious offer to Iran in the next round, in April. Robert Dreyfuss and other commentators looked back on the Iraq War for OpinionNation on the tenth anniversary of the invasion.